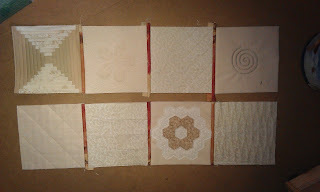 When I started the texture blocks I was planning to use the Quilt As You Go method using Welsh Quilter's method (click here), so I made each one with the three layers (cotton, wadding, backing fabric) ready to sash them together. I have a cunning plan (which will be revealed if it works!)! 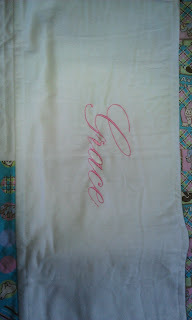 The front sashing is stitched onto the front of one block as the same time as sashing is stitched onto the back. 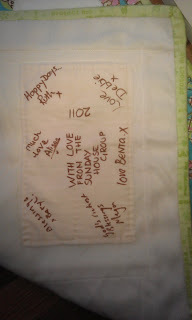 This block is joined to the next block Go to Welsh Quilters post, she explains it much better than me! 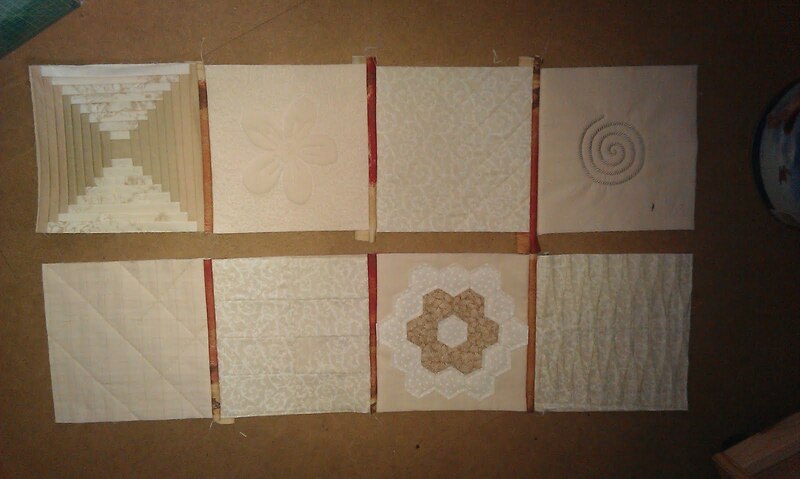 Now I need to press the sashing, and then hand sew the backing sashings down on these blocks and then I can do the horizontal sashing. Then I can see whether the cunning plan will work!!! 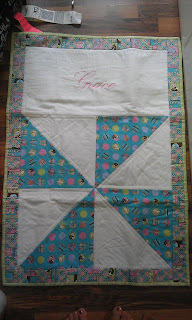 A while ago I made a baby quilt that I was sure I had posted about ... but I cant find the post, so I'll tell you about it now. Se here is Grace's quilt, with her name on the front and a label on the back. and we are just waiting for Grace to arrive! Good luck with the first, and well done on the second quilt - really complicated and pretty in that order!